The 200 comes in four trim levels. The LX is the options-light entry-level package, starting at $21,700. The Limited trim clocks in at a starting price of $23,255. The S — what we drove — is Chrysler’s sports-sedan trim. At $24,495, the car comes with leather-trimmed sport seats, a tighter, sports-tuned suspension, 18-inch rims, paddle-shifters, and dark-finished interior and exterior accents. More on all that later. The top-of-the-line 200C starts at $25,995, though if you feel like treating yourself, a checklist full of options can push the car well north of $36,000. All 200s come standard with a 184-horsepower 2.4-liter four-cylinder engine and Chrysler’s nine-speed automatic transmission. The 200S and 200C are available with Chrysler’s award-winning 3.6-liter Pentastar V-6, which pumps out 295 horsepower. All-wheel drive is available in the 200S and 200C, albeit for an extra $4,200. The styling of the 200 makes it an attractive car. Some have complained that it looks too much like something else; but if that something else is an Audi or Hyundai Genesis and not the old 200, it seems as if Chrysler’s doing something right. And the 200 actually can be fun to drive. The V-6 has power-a-plenty and it works quite well with the nine-speed. So well, in fact, that the paddle shifters seem kind of pointless. Keep your expectations realistic, but putting the car in sport mode adds to the fun by changing up the throttle response andshift points and tightening the steering. The V-6 also sounds good, especially at higher revs. So now the 200 can stop pretending. It is in fact a highly competitive vehicle in the mid-sized sedan class! Uconnect In All It’s Glory! With Chrysler LLC, the purchase of a new vehicle offers up the delight of a Uconnect system! This extremely sophisticated media center is equipped with an easy to use interface. The Uconnect system offers: Entertainment, Navigation, Internet Access (if subscribed), Bluetooth Connections and Streaming, Safety Functions and more! All located on an 8.4″ touchscreen, this easily navigated system is frosting on the cake with your new vehicle! Premium Sound! Beats Audio, Alpine, Harman Kardon, Infinity, Boston Acoustics. Your multi-speaker sound system and built-in HD radio is guaranteed to deliver a memorable driving experience as you roll on down the road. Comfort is always an important feature with driving those long distances! Adjustyour seat or your cabin temperature; select a new music station; or make a call without taking your eyes from the road. All your radio, touchscreen and steering wheel controls are designed to be easy to find and easy to use. Brand Spankin’ New Chrysler 200!! Are you looking for that new Chrysler 200!! Woody’s Automotive Group has several! Stop in today and check this out! With its redesigned look and open cabin, you really feel like you are driving on air! How important are your car’s brakes? Let’s just STOP and think about this! Your car seems to stop just fine, but you’ve been noticing a squeal or a metal on metal grinding noise. Should you be worried? Or should you say, “I’ll wait a little longer and see if it gets worse”? You should ask the experts at WowWoodys.com, because inspecting and replacing your brake pads may save you money by preventing a “metal-on-metal” condition that accelerates the need to replace expensive rotors and/or drums. Properly working brakes are essential to vehicle safety and reliability. When you press your brake pedal and stop your tires from spinning, you need to have the confidence that your vehicle will come to a complete and precise stop- every time. Brake pads, shoes, drums, and rotors are made of materials that wear down from heat and friction, even under normal driving conditions, and over time, these same wear issues can also affect the brake’s hydraulic components including calipers, wheel cylinders, and brake hoses. Failure of these brake components can lead to costly repairs and loss of braking. 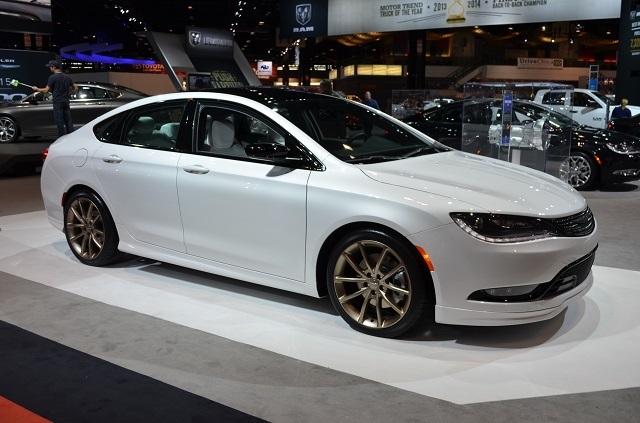 The Redesigned 2015 Chrysler 200!!! Hey everyone, its been a minute since I last wrote a blog but today I’m get right down to business! 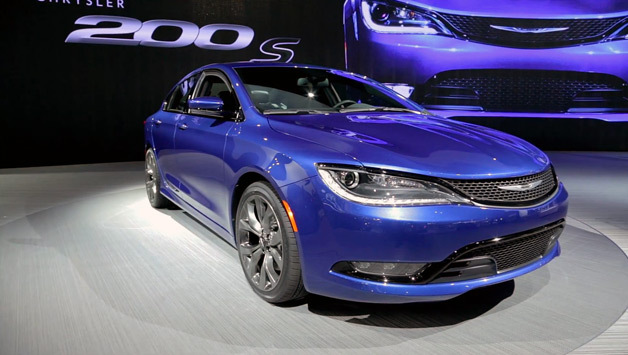 The 2015 Chrysler 200 has got to be my favorite mid-sized sedan on the market right now! A HUGE upgrade from its previous 2014 counterpart, this 2015 model packs a huge punch when it comes to new features, looks and safety! Plus, it comes in AWD!! Only taking 119 feet to stop when traveling at 60 mph, the 200 is now among the best-stopping mid-size sedans! 10 airbags included driver and passenger knee airbags! Rear Park View Camera with rear cross path detection is available! Especially important since automobiles are still the top leader for child death in the US! Adaptive cruise control with the ability to come to a complete stop, forward collision with auto-braking and park assist ( both parallel and perpendicular) is great step forward for Chrysler’s 200! Important technology is all in the Uconnect system! The easiest system to use and quickest to learn, this will come equipped with Uconnect Access! Start your car from your phone, lock it, voice-to-text, and more! Never take your eye off the road. Also, equipped with 3 USB ports, two 12V DC adapters, and so much hidden storage, you won’t have the wires all over your vehicle! Chrysler uses some interesting design features to maximize space inside the 200. The merging of the center stack on the dashboard and the center console between the seats is more effective here than in other cars where this trick has been employed (think Lincoln MKZ) largely due to the functionality of the shifter and location of the electronic parking brake button, both of which are quite intuitive. The unusual packaging also creates a “bridge” over the footwell area, which functions as usable storage. There’s a clever pass-through for a charging cord and the two-section center console offers more space than most. Equipped optionally with the leather-trimmed/vented sport seat option ($995), which adds leather interior appointments, heated and ventilated front seats and a six-way power-adjustable passenger seat. A heated steering wheel is optional on all but the base trim. Stop into Woody’s Automotive Group today! We have several and are ready for you to see them!